Water policies have generally been considered important, but their rational formulation and implementation have received scant attention. The contributors to this volume believe that water policies in the twenty-first century have to take into account the important changes in the past decade, as also those likely to take place in the future. The risks and uncertainties associated with such policies also need to he carefully assessed. Future policies, if they are to be effective, must address diversifying social interests and agendas arising out of rapid technological changes, globalization, economic competition, and political uncertainties. Theoretical and conceptual approaches, though attractive, are not enough unless they can be made operational. It is the institutions that formulate and implement water policies. Thus, unless efficient institutions exist, water policies and institutions need to he seen as an integrated package. 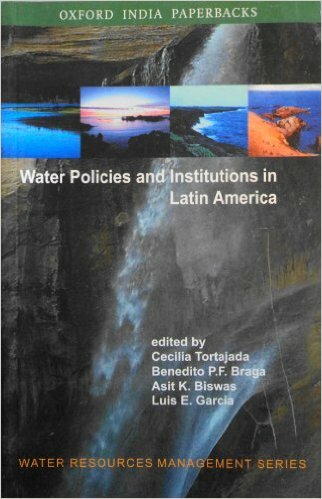 This book objectively and comprehensively reviews the present status of water policies and institutions in Latin America, and makes suggestions as to how policies and institutions can be improved in the future. It will fill an important gap and become a key reference for policy-makers, economists, and environmentalists.